Long gone are the days when our fave products did one thing well and one thing only. 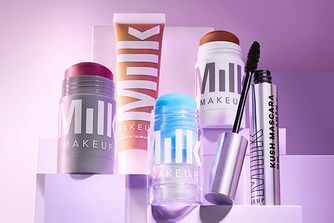 Milk Makeup’s Blur Stick is a multi-tasking hero; it minimises the appearance of pores, it helps makeup glide on smoothly, combats shine and secures makeup in place throughout the day… Phew. Weightless and oh-so smooth, the hardworking primer uses blurring microsphere technology to reduce visible pore size, fine lines and blemishes – so basically, it’s like a real-life FaceTune. Perfect for all skin tones, it’s gorgeous worn alone as a ‘your skin but better’ base or will give your make up an extra dose of staying power. 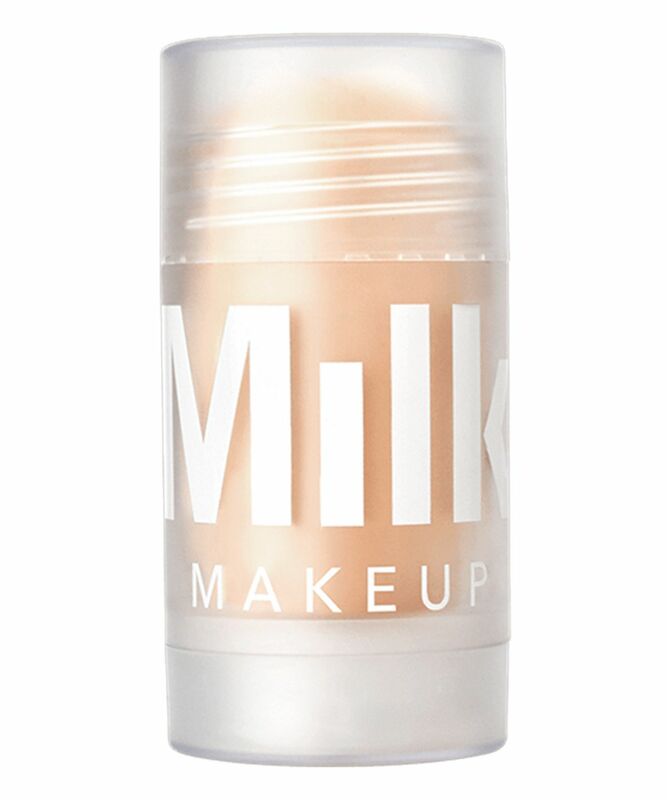 Milk Makeup’s Blur Stick has been worshipped across the beauty world with good reason. Delivering an airbrushed soft-focus effect, the primer contains powder-filled blurring microspheres which grant a pore-reducing, fine line-busting, blemish-smoothing finish. The clever technology even smooths over blemishes and imperfections, leaving you with a fresh canvas to apply your make up to. Speaking of which, the product helps your make up look immaculate and stay put for longer. A great pick for normal to oily skin, the Blur Stick banishes excess shine and mattifies skin – T-zone, we’re looking at you. Blemish-prone skin types need not fear breakouts either as the formula is silicone-free, paraben-free and non-comedogenic, meaning that it won’t clog pores. Add to that its cruelty-free and 100% vegan credentials, and it’s no wonder this Holy Grail primer has taken the beauty realm by storm. Warm up the product on the back of your hand before swiping over your face. Wear alone to blur pores and tackle T-zone shine, or under make up as a primer. База никакая, скатывается, подчёркивает несовершенства, тональное плохо ложится на неё, не держит долго макияж и проваливается в поры. ***Product rolls off the skin, enhances imperfections and pores, and does not hold makeup for a long time. Got this stick in my goody bag. It doesn’t matify like benefit base, but the effect is also much natural. I like that it has no silicone, so doesn’t provoke blemishes . I like the form of it- really easy to use and keep in bag. For me it’s a pretty thing to use without any other makeup, my skin looks natural, but blurred. I have combo skin, extremely oily nose and dry face. The blur stick works wonder for my nose! Not good for the rest of the face though but if you use it correctly, it is an amazing product! Tried this as a new primer. I have dry skin and look after it very well because of this. Used this for a week to give it a good go but this primer made my skin feel dry and tight. Won’t be using again. When I first started using this i really liked it! Applying it to the skin you can’t feel it at all but your skin looks completely blurred and soft. This would be good for someone who has naturally great skin. However I have very discoloured, very textured and very large pores and it affected the way makeup sat on my skin. It clings to my texture and makes me look like my whole face is dry and flaky. My makeup would remove and slide off much easier. And this is so unhygienic it was making me breakout really bad - this can be helped by wiping the top layer off product off after each use - but feels very wasteful. I’m sure there are techniques to to make the most out of this product but unfortunately it just doesn’t seem to work for me. And it’s super expensive. I got a sample of this in my Cult Beauty Founders' Goody Bag, and when I saw the contents of the bag, this was one of those products I wasn't too excited about, and I thought I was going to give it away - I didn't give it a second thought! Then, the bag arrived, and I opened the product. On a whim, I swatched the sample on my VERY oily nose, above foundation - and WOW! I came straight back to Cult Beauty, and used up my £15 voucher by ordering the full size. If you are dreadfully oily-skinned, and if matte foundations look dewy on you; if you're greasy in half an hour, and people can see their reflections in your face, if countries want to go to war over the oil on your face... this is a godsend - it mattifies, WITHOUT touching the makeup beneath! Granted, the effects don't last forever, and you'll need further touch-ups, but hey - it's small enough to tuck into your bag, it doesn't take off your makeup, and it makes the oil disappear! Ideal right before taking a photograph, or if you have a special meeting through your day. I sanitise the top of the stick with a tissue, but am wondering if there's some other way of keeping it hygienic, though! I don't usually prime my skin when I make up, but I gave this a try as I received a sample in the 2019 Spring FGB. I'm using it as a lip primer and works amazing: the colour stays bright and don't move for several hours. And smells nice too! I didn't expect to love this product as I'm much more of a dewy skin type of girl anyway, but liked the soft finish this has. It's not drying which is a huge plus as too many matte products are. I did hope it would give more coverage but it actually comes out quite light. It fills in pores to more of a velvet touch and is great if you have oily areas. Again, I don't think its something I'll reach for a ton, but that's not the fault of the product, but my personal taste. I have combination/oily skin and quite large pores, it did give them a slightly blurred effect but nothing drastic. Skin feels very soft after applying and gives an instantly matte appearance. It does make your makeup a bit longer so my oils don't come out as quickly as when I wouldn't use it- however I would be weary of how much you apply as when I makeup on top of this, it turned everything very cakey a couple of times. I would say that this product is okay as I like the matte look it gave and you get a lot of product as I've been using it everyday for the past week and it still almost new and has a nice citrus smell, however the difference it makes to your skin is quite minimal but I wasn't expecting this to instantly perfect my skin and take care of all my blemishes or anything like that. Blurs pores really well and leaves the skin feeling very silky and smooth. This has also been fantastic for making my makeup stay on longer - as someone with oily skin and who wears glasses, this is a lifesaver. It actually makes foundation stay on my nose. Was not as impressed as I thought I would be. Yes it does work but I didn't find the application that brilliant and I do have products that work better. A little pricey but... Where are my pores?! No more! Another genius Milk product I will never go without. Smells like plastic and I thought it just didn’t do anything at all. Was always unsure if it had actually applied properly and then sometimes would clog. Odd product. I bought this product with the hope that it would blur my skin, I was severely disappointed. It balled up on my skin and made my foundation look heavy and cakey, not at all like described. I’ve used a lot of smoothing primers and I can honestly say this one is the worst I’ve tried so far. Unfortunately this caused major eruptions on my otherwise settled skin. It was very nice to apply, felt very light, made very little difference to the look of my skin aside from being a little mattifying and drying. Such a shame. 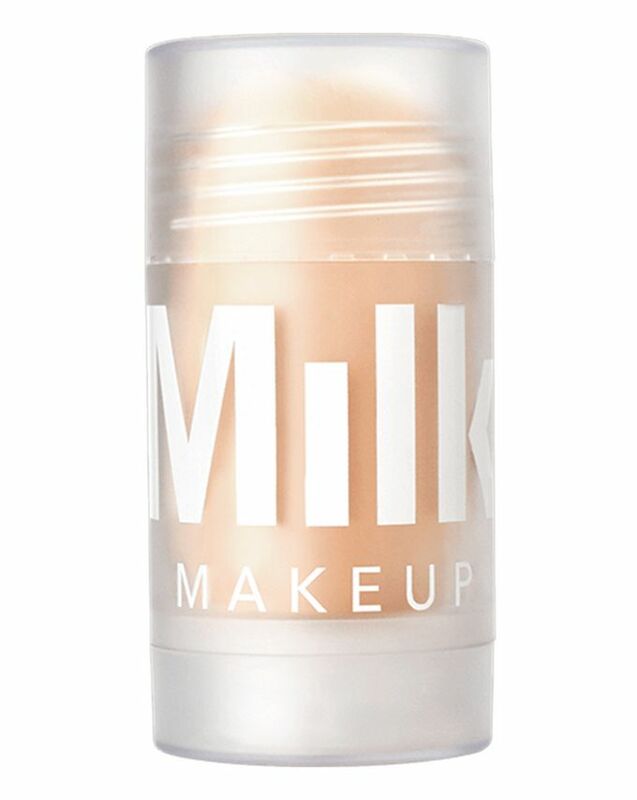 I received a small version of this in the spring GWP: it slides on feeling greasy, looks orange then disappears and doesn’t seem to have given any benefit either “no make up look” or under Foundation. I have tried with Tinted moisturiser, and two different Foundations. I won’t be buying this one. For me Cover FX blurring primer actually works. Didn’t live up to the hype and slightly peels when it is applied. Not sure it’s worth the money. Hugely overrated! Makes absolutely no difference at all! An absolutely stunning product that really does blur the skin and leaves it feeling like silk - in love with it already after 2 uses - defo 5 stars!